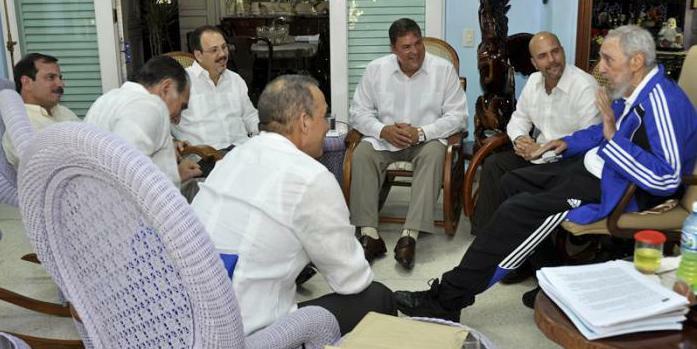 Fidel in discussion with Five Cuban Heroes shortly after their return to Cuba, February 28, 2015. With deepest sorrow, the Communist Party of Canada (Marxist-Leninist) learned that on Friday, November 25, at 10:29 pm, Comrade Fidel Castro Ruz, leader of the ever victorious Cuban Revolution, passed away. 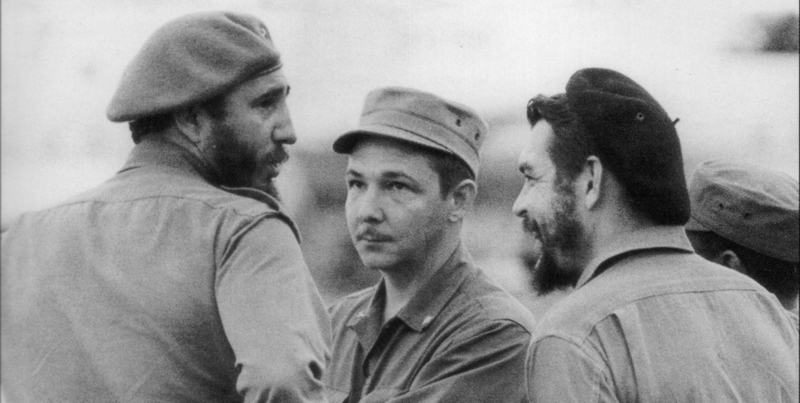 We send our profound condolences on this very sad occasion to Comrade Raul Castro and the entire Cuban leadership, to all the Cuban people and their Communist Party and to Comrade Fidel’s family. Comrade Fidel will live in our hearts in death as he did in life, inspiring us to defy all impediments to human and social progress and to break new ground and reach new heights in all our endeavours. May the revolutionary spirit, fidelity to principle and the profound generosity which characterized Fidel’s every action imbue our thoughts on this very sad day. 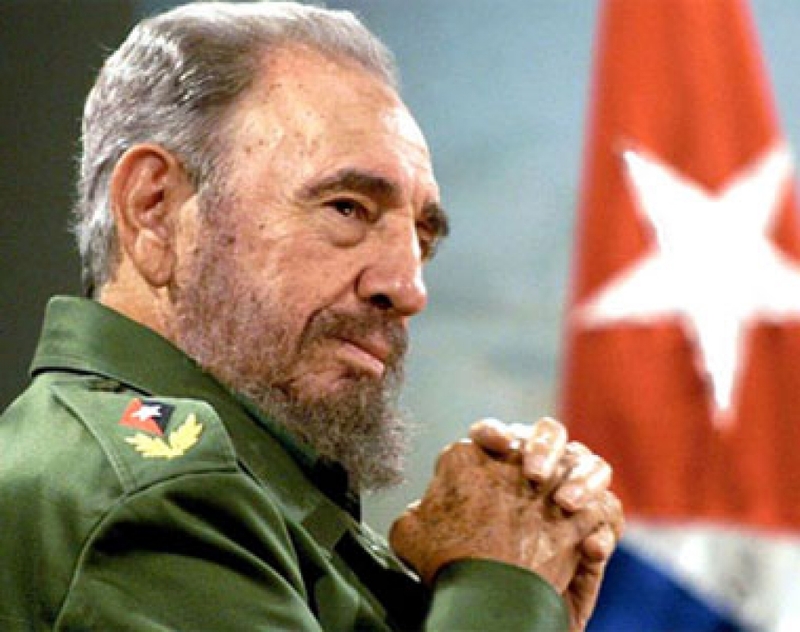 According to Fidel’s wishes, his body will be cremated on Saturday, November 26. Please join us in mourning Fidel’s passing. All CPC(M-L) meetings and activities are hereby suspended today as we join the Cuban people on this day of sorrow. 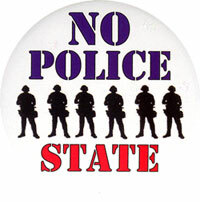 The Communist Party of Canada (Marxist-Leninist) considers that the election of Donald Trump to the presidency of the United States will represent the rule of the oligopolies through unfettered police powers. 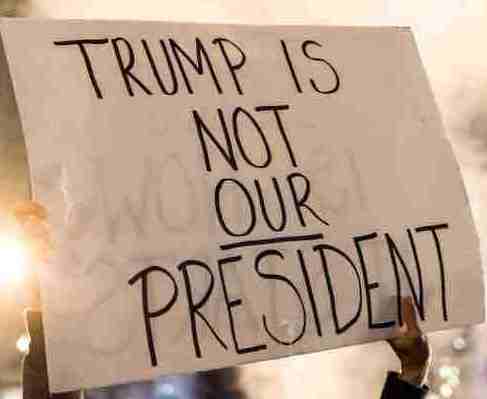 His election has plunged both the peoples of the U.S. and the peoples of the world into an even more dangerous situation. All Out to Oppose 8th Annual Halifax Security Forum! 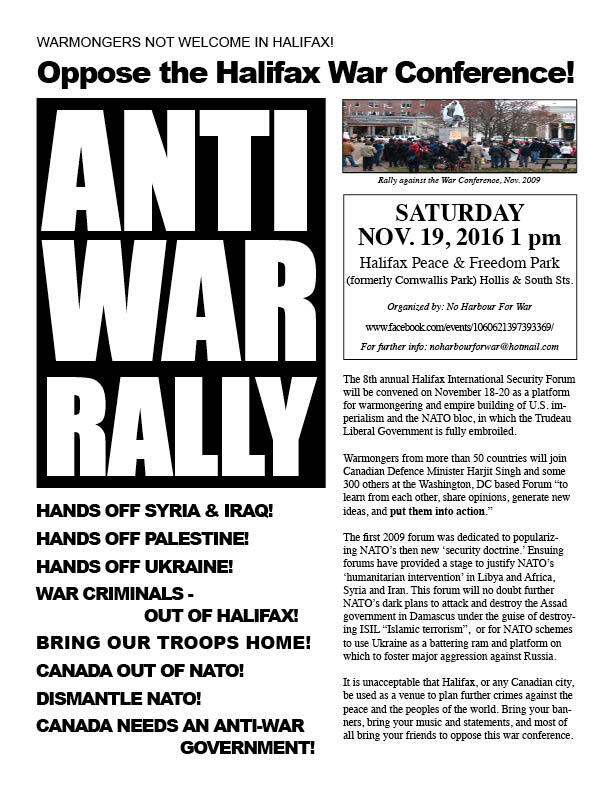 The 8th annual Halifax International Security Forum will be convened on November 18-20 as a platform for warmongering and empire building of U.S. imperialism and the NATO bloc, in which the Trudeau Liberal Government is fully embroiled. The first forum in 2009 was dedicated to popularizing NATO’s then-new “security doctrine.” Subsequent forums have provided a stage to justify NATO’s “humanitarian intervention” in Libya and the whole African continent, Syria and Iran. This forum will no doubt further NATO’s dark plans to attack and destroy the Assad government in Syria under the guise of destroying ISIL “Islamic terrorism,” or for NATO schemes to use Ukraine as a battering ram and platform from which to foster major aggression against Russia. It is unacceptable that Halifax, or any Canadian city, be used as a venue to plan further crimes against the peace and the peoples of the world. Bring your banners, bring your music and statements, and most of all bring your friends to oppose this war conference.